By now, we’ve all heard about the importance of improving our indoor air quality. We know that breathing fresh air is good. And that even in a big, bustling city, the air inside can be 2 to 5 times more polluted than outside. We’ve been told how the chemicals from household cleaners and room deodorizers can contribute to bad air quality. We know that our shoes can introduce allergens and other contaminants into the house. And we know that we spend 90% of our time indoors during the winter, breathing these pollutants. And we feel the effects. These sneezy, throat scratching, eye drying contaminants can make us uncomfortable for months on end. They can also contribute to our winter colds. But even worse, long-term exposure to these common pollutants can be dangerous and may cause a range of lung-related diseases. The good news is that a high-quality air purifier can remove more than 99% of the contaminants from your home or office. This can drastically improve indoor air quality and, ultimately, your health. There are a few important features to consider when purchasing a new air purifier… and a few that are well-promoted on the box, but that you may want to avoid. Here’s what to look for and which features to skip. HEPA filters are highly effective at capturing very small pollutant particles such as tobacco smoke, dust and pollen from the air, so these are a key feature to seek. Most HEPA filters need to be replaced annually, but some newer models have HEPA filters that can be cleaned. In addition, activated carbon filters absorb certain VOCs and other chemical & gaseous pollutants from the air. These carbon filters can catch some pollutants that HEPA filters can’t. So for the cleanest air, choose a purifier that has both a HEPA filter and an activated carbon filter. Fans are the most efficient way to pull air through the purifier. That’s probably obvious, but some purifiers actually don’t use a fan. These models are quieter, but they usually take longer to filter the air and may not do the job as well. A Service Indicator lets you when its time to clean or replace the filter. Most light up after a certain number of hours of use, which is good. An even better indicator will tell you when the filter is actually dirty. This earlier warning is important, because you never want to run a dirty filter. VERY IMPORTANT: Replace carbon filters every 3-6 months. If they are not replaced regularly, the filters can overflow and begin to release their trapped pollutants back into the air. On a very related note, when a paint or other manufacturer says “Use only in a well-ventilated area”, it’s a good idea to heed that warning! CADR (Clean Air Delivery Rate) is a measure of how quickly the purifier can clean 3 types of pollutants from the air: smoke, dust, and pollen. Look for a CADR above 200 for each type of pollutant and skip anything below 100. The CADR is based on square footage, so be sure to choose a model that is appropriate for the room size you need to filter. EnergyStar certified air purifiers are at least 40% more efficient than non-certified units. In addition to lowering your greenhouse gas emissions, certified models also save on electricity over time. Energy Star estimates the average savings to be $25 per year or $215 over the life of the unit. Ozone is great when it’s far away in the upper atmosphere of the earth, because it protects us from ultraviolet rays. But ozone is a known lung irritant that doesn’t belong in our homes. High levels of ozone in our home can worsen asthma symptoms and compromise our ability to fight respiratory infections. Air purifiers that use an electrostatic precipitator or ionizer technology will electronically charge pollutants as they enter the unit and produce a small amount of ozone as a byproduct. Many of the top rated air filters use one or both of these purification methods (in addition to HEPA and carbon filters), so they are difficult to avoid. 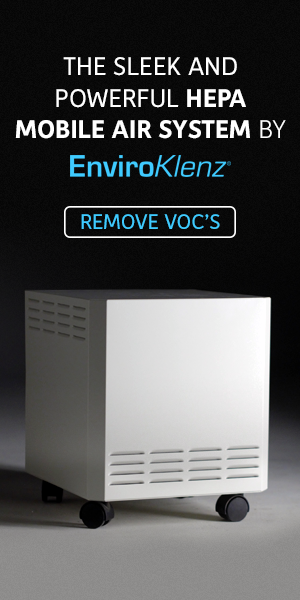 But other air purifiers known as dedicated ozone generators produce large amounts of ozone by design. While these purifiers are effective at removing allergens from the air, the levels of ozone they produce may not be worth the risk and we recommend avoiding them entirely. Dust and air quality sensors are supposed to increase the speed of the fan automatically when pollutant levels are high, and slow the fan as levels drop. But tests indicate the sensors react too late, meaning they turn on after pollutants reached levels that were too high and turn off before the levels drop sufficiently. Again, many popular brands offer them, but don’t scratch a purifier from your list if it doesn’t.